It was feared that a group might start dancing in the vicinity of the Thomas Jefferson monument on the Fourth of July. Because the Department of Fear has been concerned about this possibility, we sent Easton Syme to monitor the situation. There were about twenty police vehicles in the vicinity of the monument. No access to the monument was permitted to anyone who had not had their bags screened. Persons thought to be predisposed to dancing were ordered to present identification. Opposite the screening tent was an armored SWAT vehicle. Several civilians with "Homeland Security" badges were present. The Washington DC Department of Infectious Diseases sent some vehicles to the monument. That was a wise precaution as many dancers would likely be carriers of the HIV virus, and a police officer might get bitten. 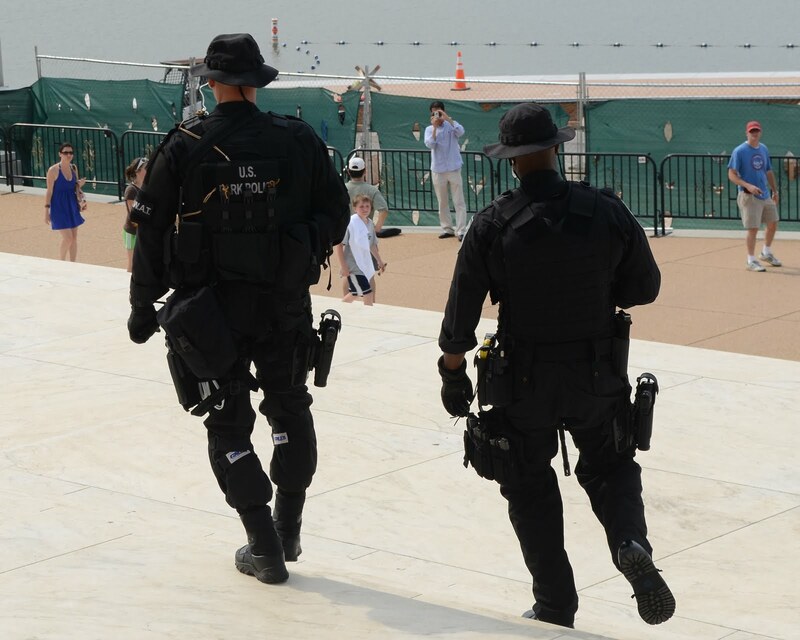 Although the monument was fenced off, and everyone entering the Jefferson Memorial was screened for weapons, Homeland Security took the extra precaution of sending a SWAT team to patrol the inside of the monument. Several members of the SWAT team wielded machine guns. Syme says that the purpose of the SWAT team was twofold: First, to deter anyone who may have been inclined to dance. Second, to remind the general public that these are dangerous times, and that another terrorist attack might very well be imminent. When asked to comment about the dancing at the Jefferson Memorial, SecFear Malcolm P. Stag III said, "We welcome every opportunity to expand our national security footprint throughout the nation's capital and beyond. Jefferson Memorial is our newest stomping ground."